This capping rail is designed to work with American Style Handrails, Bow and Eden Metal Spindle Rails and Clearview Glass rails. 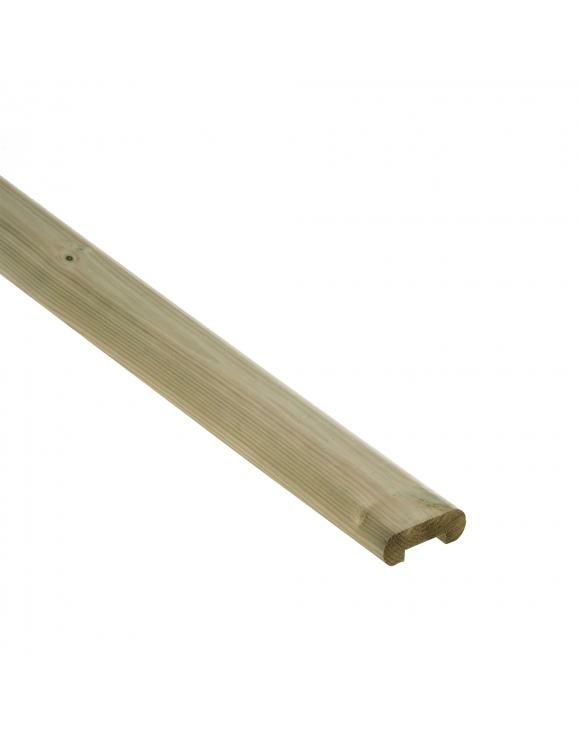 The Treated Decking Capping rail fits onto the top treated rails to form a flat section. 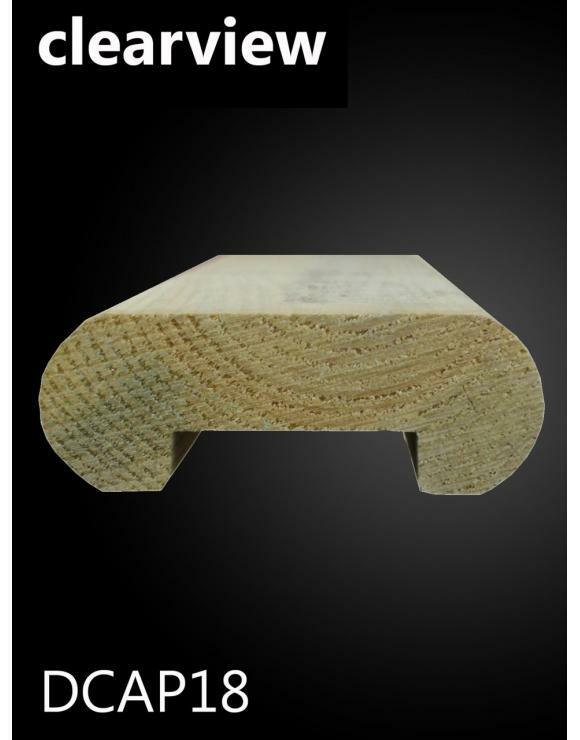 This is an optional product and is not essential to the any of the decking systems. 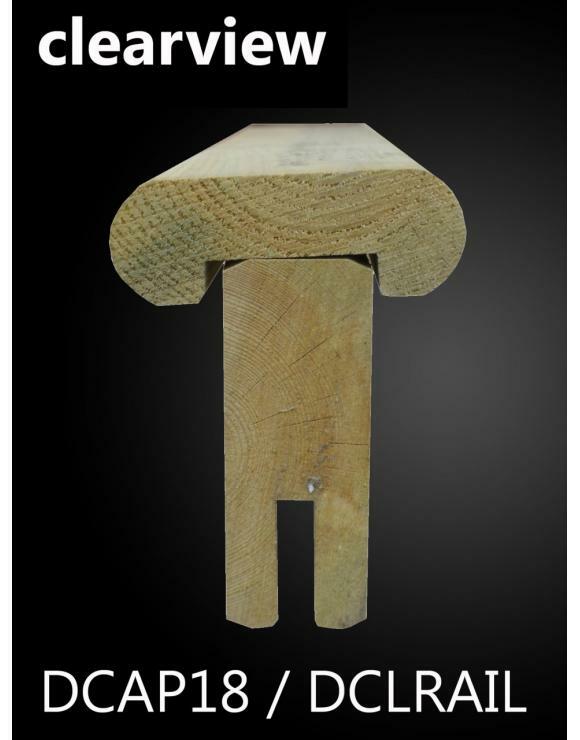 All softwood timber decking components have been pressure treated with tanlith-e outdoor preservative which turns the timber a slight green colour, This colour may not be consistent throughout the whole product therefore if a consistent look is desired this product will need to be stained after installation. All decking products are stored outdoors and may be delivered damp. 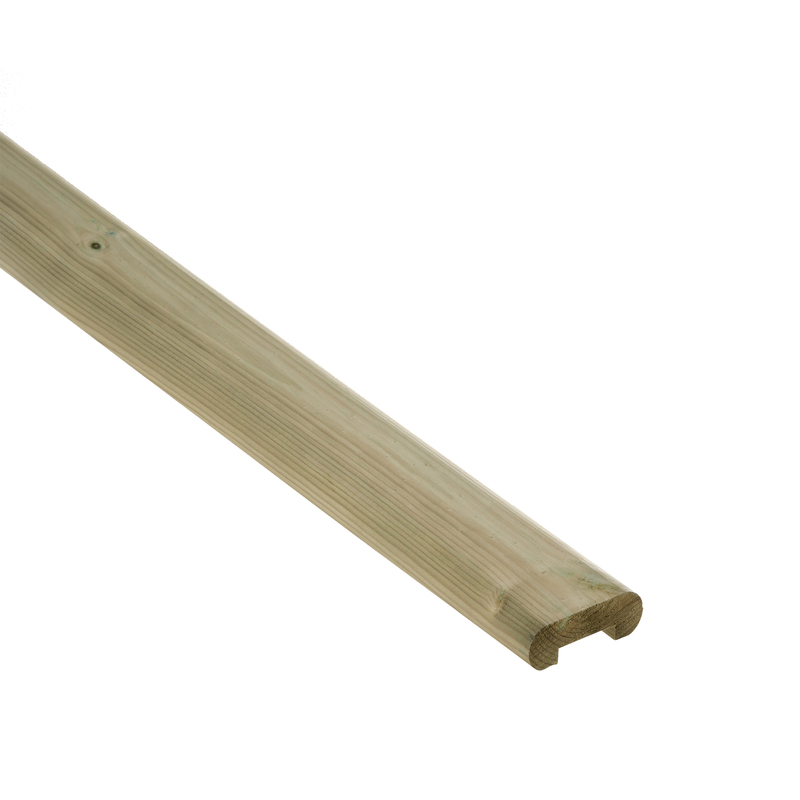 It is important to get a good solid fix to the joists with the newel posts, so ensure you plan your joist configuration to allow for handrail lengths no longer than 1795mm. 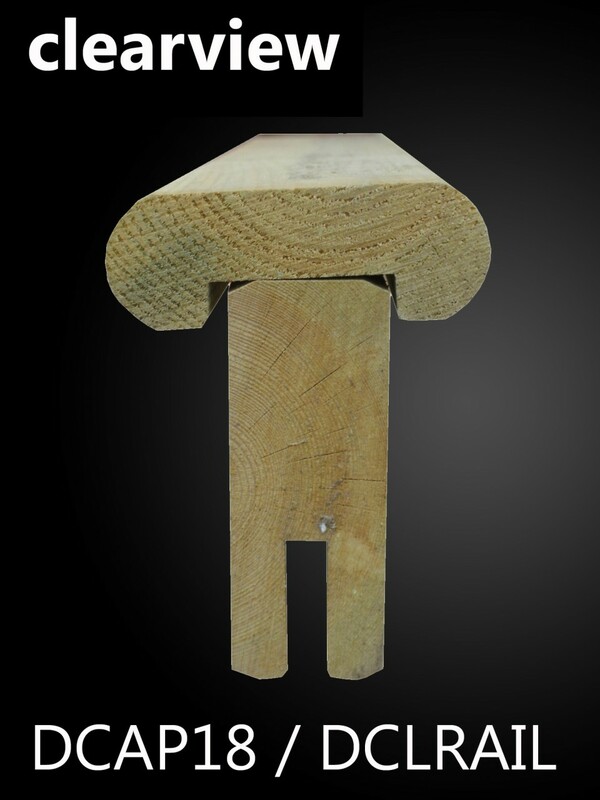 Posts should be lap jointed to the joists and secured with suitable external coach screws or bolts. 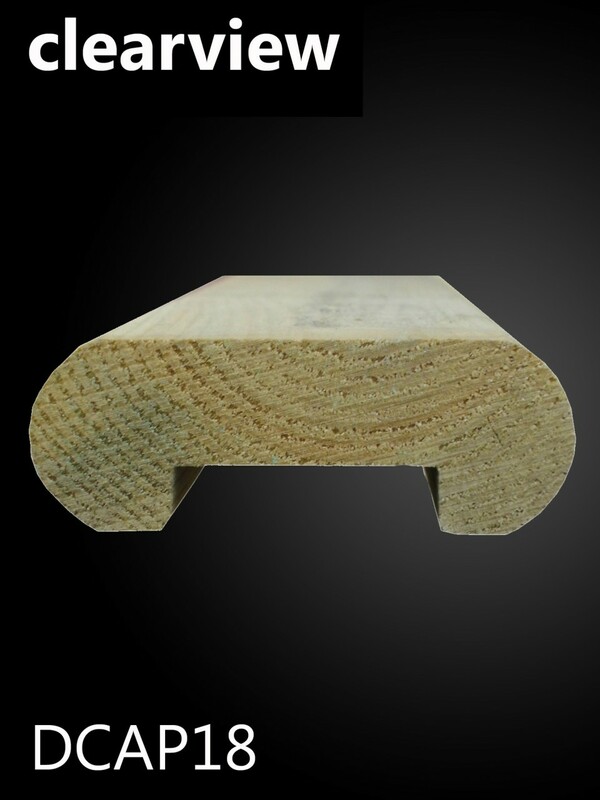 Capping Rails are fixed to the rail using suitable external screws from underneath. Not sure what you need for your deck? Send us a plan or photographs of yours deck and we will be happy to work out the parts you need and supply you with a quote.